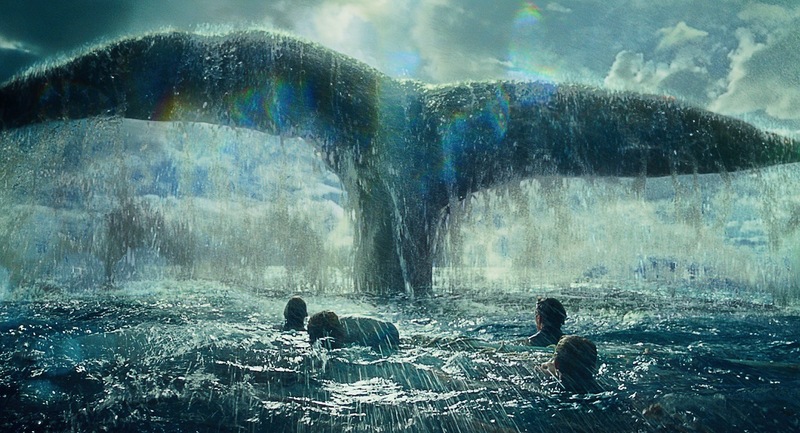 Rather than going for a straight up telling of the story, Howard chooses to join Herman Melville (Ben Whishaw) as he investigates the matter of the true story behind the sinking of The Essex. Melville talks with an aged Tom Nickerson (Brendan Gleeson), who once upon a time was a young deckhand on board the ship. We begin with their introduction and Nickerson’s reluctancy to tell the truth of the matter. The film unfolds with switches between real-time in the interview with Nickerson and 20-30 minute flashbacks on board the Essex. Although Nickerson is the one being interviewed, he is not who this story is about. As he explains to Melville, the story is about two men; Owen Chase and George Pollard. 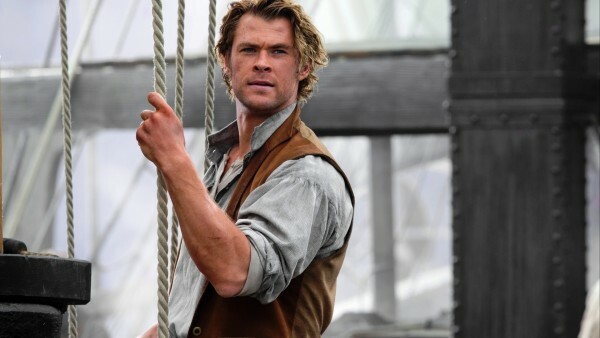 Owen Chase is played by Chris Hemsworth. He is a landsman. He’s described as such because his father was a farmer. He has worked hard to become a seaman and even believes he is ready to Captain his own ship. As he describes to his pregnant wife before departing, he knows of nothing else to do. He is drawn to the sea. 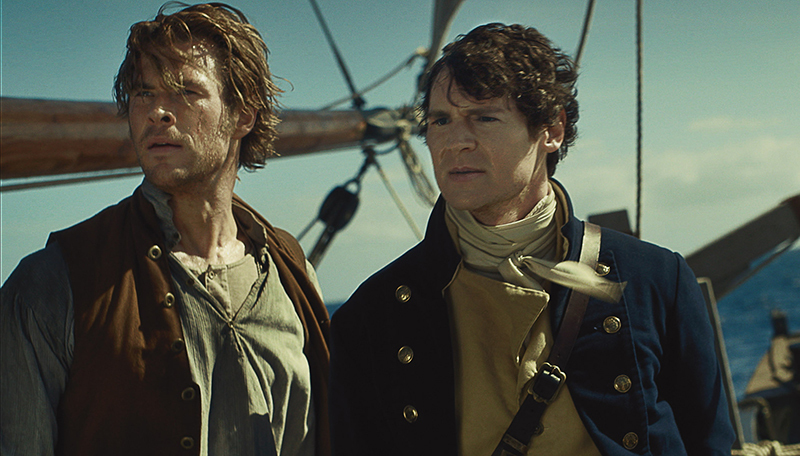 George Pollard, played by Benjamin Walker, is born into a family of seamen. He takes pride in his name and often lords it over others of lesser social stature. Pollard is granted his first opportunity of captaining a ship when he is assigned to the Essex with Chase as his first mate. As Pollard makes attempts to assert his authority, Chase undermines it with his own commands of the crew and subversive questioning of Pollard’s decisions as captain; a position Chase believes should be his. 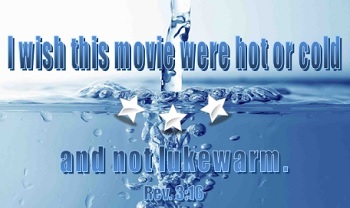 One of the themes I’d like to draw out from this film involves the battle of wills and swallowing your pride. This is played out perfectly between Pollard and Chase. These two men fight each other from the get go and neither let up until they are at their weakest and most exposed. I recently delivered a sermon titled “Torn Down Yet Lifted Up”, in which I talked about all the times and ways we are torn down by life, trials, and temptations. Interestingly, one of the things that often leads to our own downfall is our pride. One of the easily memorized verses in scripture tell us how “pride goes before destruction, and a haughty spirit before stumbling” (Prov. 16:18). If we look at Pollard and Chase’s dealings with each other, we find pride front and center. Because neither of them could set aside their pride, risks were taken with the ship and the crew that resulted in disaster. Chase trusted in his abilities, which were numerous. Pollard trusted in his name, which was influential. They each felt that these things hoisted them up above others. The pride they took in their talents and their name blinded them from some poor choices made, and most importantly it kept them from seeing where they stood before God. It took a monster of a whale for them to realize how small they really were, which leads to my next point. Pollard: … We’re earthly kings. Whose business it is to circumnavigate the planet bestowed to us. To bend nature to our will. Chase: You really feel like an earthly king after everything we’ve been through? We’re nothing. We’re specks. Dust. Pollard: We sail into the sun at dawn. If we are to die, then with God’s grace, let us die as men. At this point in the film the entire crew had either been killed or brought to this lowly state of survival. Chase sees clearly where they stand whereas Pollard insists that it is their will at play, that they can bend nature to it. He believes that is what makes them men despite recognizing God’s grace over all things. Even in the face of the power of God’s creation, some will still insist they are masters of their own fate and that their will reigns supreme. I thought this film was mostly okay with a handful of high nights. I think where it missed the mark was with a lack of connection between the elderly Tom Nickerson (Gleeson) and the young Tom on the Essex experiencing this tragedy. We kept going in and out of narration, sporadically retuning to present day and Tom recalling the events, then back to the story itself, but I didn’t feel the weight of young Tom’s burden in this experience until a moment where he feels shame for what they had to do to survive. This caused the narration of the story to seem less foundational than it was likely meant to be. Hemsworth was fine but he was probably the second or third best performance in the film. The shots of the whale were most beautiful from a skyview rather than up close. The camera was very shaky throughout the film, probably to induce the feeling of being on the sea, but it was really more annoying than anything. This is a fine film and I’m glad I saw it in theaters. I’m sure I’ll stop to watch it on cable one day in the future, but I won’t be rushing to see it again on rental. ← Star Wars Episode V: The Empire Strikes Back – Is Attachment a Vice?